Perfectly unique and charming home located on a treed corner lot in the Vineyard. Sprawling floor plan that offers space and flexibility includes 4 bedrooms, 2.5 baths in the main house and a 1 bedroom, 1 bath guest/pool house! 2 spacious living areas both with fireplaces, vaulted ceilings, formal dining room, mud room, large laundry room, and more. 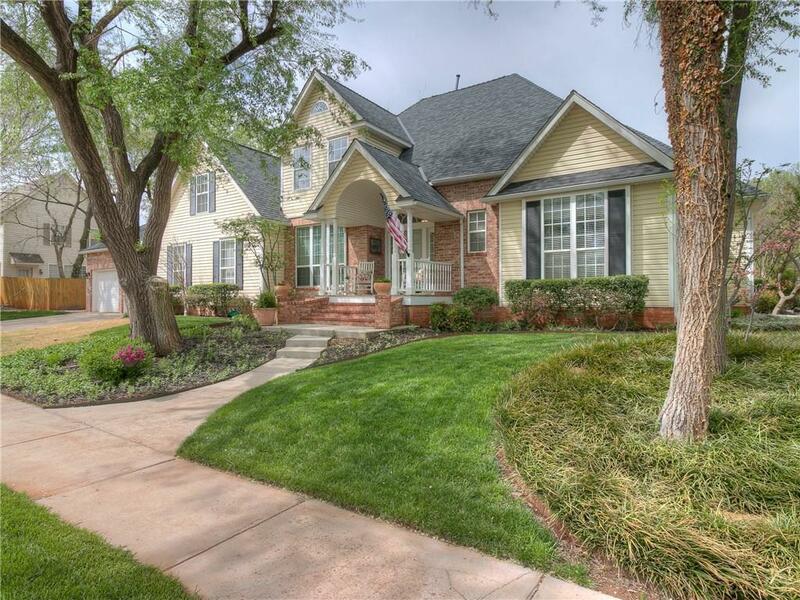 Upgrades throughout include hardwood floors, granite counters, 5 burner gas range, central vacuum system, updated master shower, and a newer HVAC system.The landscaped backyard includes an inground pool and the separate guest house is complete an extra 298 SF and a registered safe room inside!